How do you identify distinct character areas whilst allowing each sub area to create its own microclimate? The site of the Singapore High Commission offers a diverse experience from the gently sloping open area around the main buildings, to the more steeply bush clad slopes and gully that drop away to offer views out across Wellington Harbour. The landscape has been planned by identifying distinct character areas. 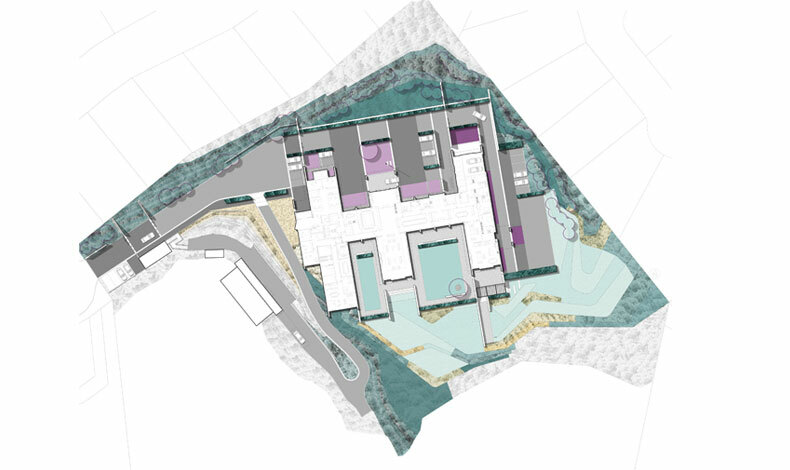 A gradual progression of landscape character spaces, with the perimeter and open areas reflecting the natural context of the site. The sheltered gardens have been more highly refined and arranged around the buildings to reflect the architecture and cultural values of the Singapore High Commission.